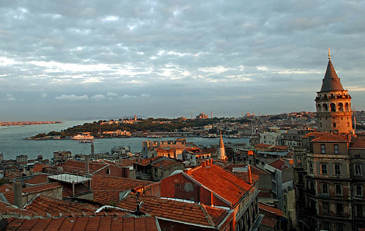 Istanbul, on the Sea of Marmara and the Bosporous has become a magnet for visitors. The Galata Tower is at right. In the recently published first volume of memoirs, "Istanbul: Memories and the City," Orhan Pamuk describes how a 1950's childhood among Europe-yearning cosmopolitans in the crumbling ruins of the Ottoman Empire helped to shape him as a writer. The key, he said, is to understand the concept of huzun. This Turkish word describes a kind of melancholy, he says, not so much a personal state as one shared by an entire society, a mood of resigned despair for the great past - a murky, black-and-white world of sodden streetscapes and peeling palaces. "The thought behind huzun was: People in Europe are happy, but we are doomed," Mr. Pamuk, also author of the novel "Snow," said a few weeks ago as he tucked into a freshly grilled bonito in a favorite waterfront restaurant on the nearby island of Heybeliada in the Sea of Marmara, where every summer he rents a house his family once owned. So it is with a mixture of skepticism and amusement that he now encounters Istanbul's latest, 21st-century incarnation, as an increasingly lively and trendy destination - the latest European hot spot, following in the tradition of Prague and, more recently, Berlin. "I think perhaps it is a generational thing," said Mr. Pamuk, at 53 his nation's most renowned author, and one of its most controversial as he faces charges after he made comments in February about allegations of mass killings of Armenians 90 years ago and Kurds more recently. "I talk to younger people and they say, 'Where is this melancholy city you talk about? My Istanbul is a sunny place.' 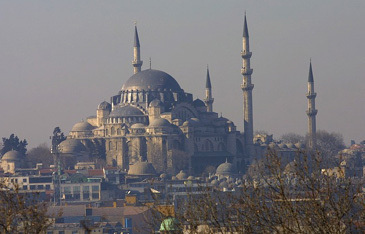 "
Istanbul, of course, has been a tourist destination almost since the Greeks set up shop in the seventh century 700 B.C., then as Byzantium gave way to the new Roman capital of Constantinople in A.D. 330, to Muslim Istanbul after the conquest of 1453 and then under four and a half centuries of Ottoman rule and the rise, in 1923, of the Turkish state. 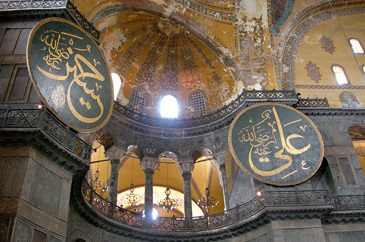 For generations of Western artists and other travelers in the 19th and 20th centuries, Istanbul was seen as the heart of the great, mysterious Orient, a highly romantic and largely imagined land of crumbling ruins, impossibly grand mosques, smoky bazaars, gypsies, harems, belly dancers and dark cafes full of men in fezzes pulling languorously on water pipes. They are all still here, except for the harems and the men in fezzes. Now, those cradling their water pipes in the warren of cafes behind Nusretiye Mosque are more likely to be young couples sitting in colorful beanbag chairs and sporting T-shirts, backpacks, fold-out maps and an air of studied bohemianism. No matter which way you walk in Istanbul - particularly if you wander along Istiklal Caddesi, the city's chief commercial thoroughfare - a sea of humanity seems to be bearing down upon you: young Turks hurrying into dark arcades where they nurse beers and hunker over backgammon boards; well-dressed women laden with bags from fashionable boutiques; beseeching beggars; tourists lugging cameras; couples in designer jeans holding hands; and the occasional elderly Turk at the edge of the tumult, wondering what has become of his city as he studies a movie poster for "Cinderella Man." "In Istanbul, we are certainly going somewhere, but where are we going?" asked Ender Mermerci, a well-known socialite who maintains a magnificently restored, 300-year-old residence, known as a yali, on the lapping banks of the Asian side of the Bosporus. Istanbul has always been a city of many pasts. But now, suddenly, it is a city of many possible futures, possibly the newest member of club of European states (talks begin next month on Turkey joining the European Union), or perhaps a land of increasingly fervent Islam. 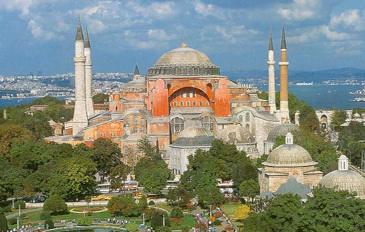 Istanbul's renaissance is one that stretches both high and low. It is a short taxi ride from the narrow streets of the impoverished Fatih quarter, where veiled women avoid eye contact and packs of dogs scamper along dusty alleyways, to glittering Nisantasi, where European and American boutiques compete for customers with bistros and brasseries, and a clerk at the Louis Vuitton boutique solemnly boats that it had the largest sales. Most recently, the high-end art crowd has been drawn to the city for Istanbul Design Week in September, for the Istanbul Biennial through October or by the new Istanbul Modern and Pera museums. These are the prosperous habitués of such trendy night spots as the 360 Club, high above Istiklal Caddesi, whose glass walls and modernist terrace overlook the Bosporus, the Golden Horn and Topkapi Palace and which seems almost within touching distance of the straw-colored steeple of the church of St. Anthony of Padua, Istanbul's largest Roman Catholic church. The old yalis of the Ottoman pashas, the grand homes lining the Bosporus, have been reclaimed by a new generation of wealthy Istanbullus. Along with such traditional expatriate enclaves as Bebek, they have transformed this once-sleepy stretch into a fashionable haven of fancy homes and waterfront cafes, where private boats churn back and forth between the ferries and Russian freighters, and where it is not uncommon to see lavish parties in the old palaces and promenades. Ms. Mermerci, for instance, was recently host to a weeklong series of parties to celebrate the 10th wedding anniversary of her friend, Francine LeFrak, a film producer and a member of the well-known New York real estate family. They had met several years ago in New York, renewed their friendship at Ms. LeFrak's fifth anniversary celebration in Capri and had reunions during Ms. LeFrak's regular visits to Istanbul and Turkey's Aegean Coast. "I had visited Istanbul only once before, as a 16-year-old, and to me, at that age, it was beyond exotic," Ms. LeFrak said. "But the new Istanbul I found was an incredibly sophisticated place. The city is really humming. It's got a beat. And the people there really know how to have fun." The restaurant-and-nightclub known as 360 is the latest of these upscale Istanbul nightspots, and finding it can be a challenge. Walking up Istiklal Caddesi toward Taksim, one passes the yellow facade of St. Anthony's Church on the right. A few doors north, beyond some storefronts, is the entrance to Misir Apartments (there is a small black-and-white sign for 360 posted at the entrance, but it is easily overlooked). At the back of the lobby, which seems to act as a motorcycle parking lot during the day, there are two small elevators and another, somewhat larger sign for 360. Finding the entrance is made easier late at night, when overflow crowds are kept waiting in the lobby behind a velvet rope and sometimes stretch out into the street. The small elevators, capable of holding perhaps a half-dozen people at a time, carry customers to the sixth floor, where they emerge into a hallway lined with white draperies. Yet another sign points up a flight of stairs where, on the seventh floor, there is an entrance to the club followed by yet another flight of stairs to the roof. Visitors emerge, during the day, into a brightly lighted expanse of floor-to-ceiling glass and chrome and black furniture and, at night, into a pulsating and candlelit expanse of chattering people surrounded by the endless lights of the metropolis. Overhead, track lights hang from serpentine cords. To the left is a disco that opens only after midnight. Immediately to the right is a long bar leading onto a terrace and several tables of food. During the day, this area is deserted, but after 10 p.m. it is difficult to get through the smart crowd. The restaurant - a few steps up, farther to the right - is criss-crossed by young, handsome waiters in blue jeans and white shirts who respond at a trot to finger snaps from the large tables of sophisticated 30-something Istanbullus. Nezih Barut, who owns a pharmaceutical company in Istanbul and whose company is a sponsor of many art-related events at this year's biennial, also lives in one of the Bosporus waterfront villas. He said he had definitely noticed a rising influx of tourists from America, Germany, England, Japan and, especially, Russia. "It began, I would say, about 10 years ago, and has really increased in the last couple of years," he said. One reason for this, he said, is that as the old, wooden Ottoman mansions burned down over the decades, a new, more modern and comfortable waterfront rose up, inviting to European travelers. Turkey's economy has strengthened in recent years, driven in part by reforms aimed at encouraging the country's acceptance as a member of the European Union. Negotiations over Turkey's entrance into the union are set to begin on Oct. 3. For European-leaning Turks, this would be a long-awaited moment of acceptance. For many in the country's growing community of devout Muslims, it is less welcome, and there have been protests. A survey released in Europe earlier this month by the German Marshall Fund and Compagnia di San Paolo, a research center in Turin, made news in the United States because it showed continued hostility toward American foreign policy among Europeans. But it made bigger news in Istanbul because it also showed that 29 percent of Europeans felt adding Turkey to the European Union would be a bad thing and that only 22 percent favored it. A front-page article in The Turkish Daily News, the city's chief English-language paper, decided to stress that the largest group, 42 percent, were ambivalent about the whole thing, and advocated a marketing campaign to win them over. Nevertheless, more than a dozen well-to-do Istanbullus interviewed this month said that they were pessimistic about their nation's chances. "I do not think it would happen," said Mr. Barut, the pharmaceuticals executive. "Why should they do it? We are 70 million people, with many problems. And we are a Muslim nation, which frightens them." One can, perhaps, detect a slight note of huzun in this widespread attitude. And indeed, incongruous as it can seem on a walk along the stunningly beautiful Bosporus, the old city of crowded markets and ancient traditions is still very much alive. One afternoon, I visited the 300-year-old Cagaloglu Hamami, a five-minute walk from the Hagia Sophia, where the most traditional Turkish bath experience can be had. It is easily identifiable by the signs plastered all around its entrance announcing its inclusion in the book "1,000 Places to Visit Before You Die." One pays 32 Turkish lira (about $25), is led upstairs to a small, wooden cubicle to change into a large towel, then downstairs and through connecting doors into the old, domed hamam - a steamy place with marble walls and alcoves, where burly Turkish men pound and knead you with rough professionalism, then soap you up, scrub you with rough clothes and rinse you off. It all takes less than an hour. My attendant leaned over at one point and whispered that he would like a tip, but it must be a secret. Since he had just demonstrated that he could easily snap my neck like a chicken's, I said I would be most happy to accommodate him. Later, after buying Anatolian wedding and dowry textiles for my daughters in the Grand Bazaar, I was deftly pickpocketed in a crowded tram. Fortunately, I had less than $20 in my pocket. HERE is my advice: Don't come in the summer, come in the winter, Mr. Pamuk said. "The city is not full of tourists. Then, go walking through the back streets, where the tourists don't go." I couldn't wait for winter, but took his advice and spent several hours walking through the old neighborhoods around Fatih Mosque in the poorest and most conservative section of the city. "No one will bother you," he said, and no one did, although there were a few neighborhood children who came out of the dark buildings to look at me with something approaching surprise. It would have been better, Mr. Pumak said, if the city had been cloaked beneath a shroud of snow - the better to evoke that great, gloomy state of huzun. That is what some of these new Istanbullus, the Europe-imitating ones who haunt clubs like 360, do not understand, Mr. Pamuk said. Huzun is not something to be avoided. 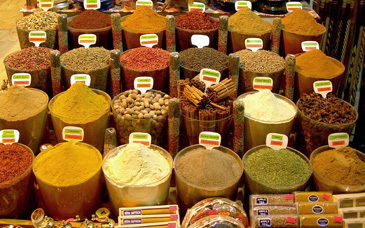 It is one of Istanbul's great gifts to the human race. Turkish Airlines runs daily nonstop flights between Kennedy Airport and Ataturk International Airport in Istanbul for as little as $790 until the season shifts in late October, when prices fall to as low as $667. Delta is decreasing from four round trips a week to three beginning in mid-October, after which a round trip nonstop can run as little as $1,195 (or $684, with a change in Europe). American citizens must have a visa to enter Turkey. A single-entry tourist visa can be obtained for $20 at Ataturk Airport on arrival, though one can also be obtained for the same price at the Turkish Embassy in Washington and at consulates in Chicago, Houston, Los Angeles and New York. Information and on-line forms can be found online at www.turkishembassy.org/consularservices. A taxi ride to Sultanahmet, Istanbul's tourist center and home to most of its hotels, is about $15, at 1.3 lira to the dollar. The country code is 90; city code is 212 for the European side of the Bosporus and 216 for the Asian side. All phone numbers below are for local calls and require dialing zero first. Istanbul's newest luxury hotel is the 65-room Four Seasons in Sultanahmet, just around the corner from the Hagia Sophia and the Blue Mosque. The Four Seasons Hotel Istanbul, Tevkifhane Sokak 1, (0212) 638-8200, www.fourseasons.com/istanbul, was built in what had been one of Turkey's most notorious prisons - the inspiration, in fact, for the film "Midnight Express," though you will not be reminded of that film during your stay. Prices start at $340. Across the street is the Seven Hills, Tevkifhane Sokak: 8/A, (0212) 516-9497, www.hotelsevenhills.com, a boutique hotel almost in the shadow of Hagia Sophia. Doubles are $225. 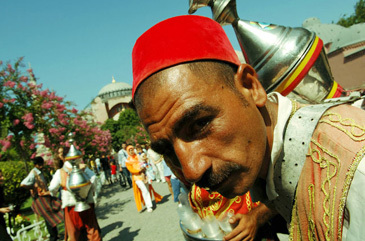 On the other side of the Bosporus is the 18-room Sumahan, Kuleli Caddesi 51, (0216) 422-8000, www.sumahan.com. Ground-floor rooms open onto a lawn that runs down to the Bosporus where you can sit on Adirondack chairs and watch the daily parade of ferries and freighters. Beginning Nov. 1, low-season rates start at $234. Istanbul's hottest night spot is 360, perched in the Misir Apartments high above bustling Istiklal Caddesi, (0212) 251-1042. Lunch is quiet, but evenings are jammed with a smart, sophisticated, chattering crowd. Turks tend to begin their meals with mezzes, appetizers that are shared around the table. At 360, mezzes include grilled sardines in vine leaves or Vietnamese beef tartar for $6. Main courses include prawns-in-a-jar with lemon grass for $9 and Cajun blackened veal chop for $18. On the Bosporus, the scene-makers head to Reina, Muallim Naci Caddesi 44, (0212) 259-5919, www.reina.com.tr, a cluster of nine restaurants, including Italian and Chinese, built on white terraces overlooking the Bosporus in Ortakoy. Reservations are essential. More traditional fare is offered at the courtyard restaurant at Yesil Ev, Kabasakal Caddesi 5, (0212) 517-6780, an Ottoman-style hotel known as the Green House. Mezzes include vegetables cooked in olive oil ($8) and stuffed vine leaves en casserole ($9.50), and main courses include mixed grill ($25) and Yesil Ev-style beef ($17). Istanbul's fanciest shopping district is Nisantasi, about a 20-minute walk north of Taksim Square. Here, amid upscale boutiques and sidewalk cafes, the chef, Feridun Ugumu, has developed a reputation for offering some of the best and most authentic Turkish food in the city at Hunkar, Mim Kemal Oke Caddesi 21, (0212) 225-4665, www.hunkartr.com. Main courses include izgara-style meatballs for $10 and begendi kebabs of crunchy lamb on a bed of mashed eggplant for $11. Similar - though not quite so high-style - Turkish fare can be found at Havuzlu, (0212) 527-3346, tucked away in the thick and bustle of the Grand Bazaar's leather quarter, where the local merchants come for an unpretentious midday meal. The address is Gani Selebi Sok 3, but really, addresses off the main thoroughfares mean little in the bazaar. You'll need to get a map and a good nose to find your way in. A recent meal of a fried squid appetizer followed by a huge grilled sea bream and bottle of mineral water cost $25. The alleyways around Tunel Square - at the southern, and less congested, end of Istiklal Caddesi - are cluttered with cafes and mekhanes, most of them full of young people nursing beers or fretting over games of backgammon. One of the prettiest is Café Gramofon, Tunel Square 3, (0212) 293-0786, whose Art Deco chairs provide a perfect perch to watch the activity in the square. At the other end of Istiklal Caddesi, near where it spills into the vast expanse of Taksim Square, there are also alleyways full of tiny restaurants and bustling cafes. It's louder here, the crowds are thicker and the general atmosphere is a shade seedier. The gay club scene is centered on the streets near the old Pera Palace Hotel, where passengers from the Orient Express rested from their long journey. There are also many gay clubs near Istlikal Caddesi, including the recently opened Club Purple, Mis Sokak, No. 20, (0212) 245-8933, which opens at 10 p.m. and stays open until 5 a.m.